National Medical Billing Services Senior Vice President, Coding Angela Talton, MBA, RHIA, CCS, CPC, CPC-H, discussed how ambulatory surgery centers can prepare for the transition to ICD-10 in a webinar titled "Where ASCs Should Be with ICD-10." The presentation began with a brief history of ICD-10 and discussion on the importance of transitioning away from ICD-9. "ICD-9 doesn't have the exactness of diagnoses needed, as a result different procedures and diagnoses are being grouped together into one code," said Ms. Talton. "The specificity necessary for a number of emerging uses, such as pay-for-performance and bio surveillance can't grow in ICD-9." Every healthcare provider falling under HIPAA will be impacted by the transition, but the change does not impact CPT coding for outpatient procedures. Healthcare providers must be prepared to use ICD-10 beginning Oct. 1, 2014 and Ms. Talton encourages centers to be in full training mode by the end of this year. The learning curve is steep for coders and physicians, but there is still time to effectively make the transition. ASCs should have already established a steering committee, physician champion and ICD-10 project manager to lead the transition. "You should already have plans for training and countdown to your go-live date," said Ms. Talton. "Steering committees need a goal of creating an environment to embrace the ICD-10 transition. Include innovative ideas and bring people on board who can express and communicate change on a strategic and employee level." • Risk management assessments to identify and rank the risk in order of importance. Figure out why these risks occur and what could be changed to improve policies and procedures. • Establish a budget that takes process improvement, systems changes and upgrades, testing and staff additions and training into account. ICD-10 will be an expensive transition for providers. CMS has recommended ASCs have two to three months of revenue and consider a line of credit to adjust for revenue changes past the initial go-live date due to unexpected inefficiencies. • Check contracts with different vendors to ensure they are prepared for the ICD-10 transition. Software companies should be able to provide dates for when they will be able to accommodate ICD-10 codes. • Perform a developmental needs assessment to see what employees need for the transition. Consider these resources when making the budget. Assess whether the process will take longer after the transition — likely it will — and decide whether there should be process improvement changes. Communicate these needs to senior leadership in a written document. • Identify unclear or missing physician documentation and promote health record completion during the patient's course of care. Improve communication between physicians and coders and provide education for physicians about documenting for ICD-10. "Consider working with your vendors on the implementation process," says Ms. Talton. "Understand the vendor's plan for ICD-10 and check out the landscape. If they don't have a date in mind, consider a proposal from other vendors as a contingency plan. They should adhere to your timeline." Training will be extensive for staff and physicians. Initial courses on ICD-10 coding updates for coders take around 40 hours, and training for providers can be 20 hours or more based on their documentation level today. Coders must also complete a 75 question test to maintain credentials, which will be available Oct. 1, 2013 to Sept. 30, 2015. Make sure your transition team meets regularly throughout the year to check in on progress and update their goals. Planning is important because the ICD-10 transition could have a negative impact on the ASC if they are unprepared. National Medical Billing Services is a national healthcare revenue cycle management company that specializes in servicing ambulatory surgery centers (ASCs) and their affiliated surgeons. 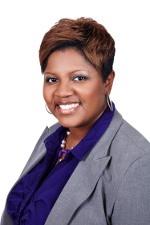 Ms Talton is a recognized expert for coding and ICD-10, and frequently speaks on these topics at industry events. In addition, she is an AHIMA ICD-10 CM/PCS Approved Ambassador/Trainer as well as the ICD-10 expert source for MoHIMA.